Details: The project is coming up at Manikonda in Hyderabad. 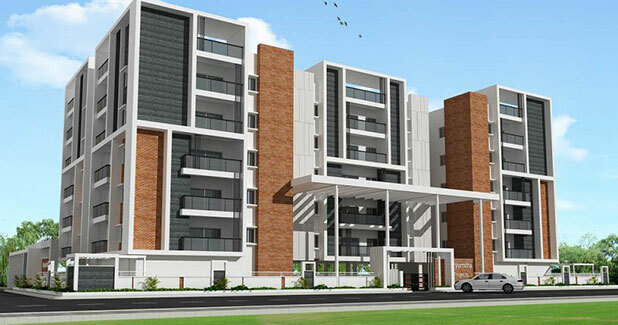 It offers 1 tower with G+6 floors, having 30 units of 2 and 3 BHK apartments. Apart from the basic amenities, the project offers landscape garden, swimming pool, party lawn, theatre, CCTV camera security, paved compound, gymnasium, club house, etc.